I created the “Gratitude Mandala” for us to play, color, and contemplate all that we are grateful for having, being, and experiencing. 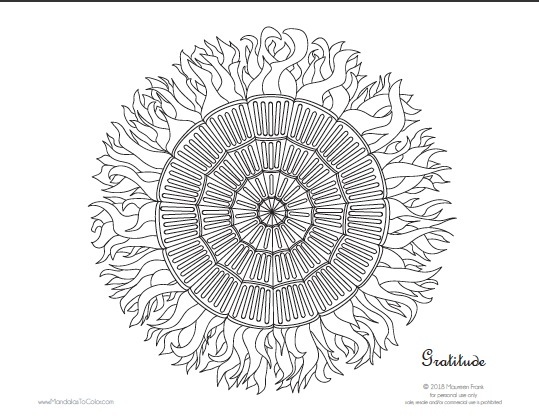 Maybe start a new tradition of coloring mandalas together. I also offer this to thank you for your continued support and inspiration. Many blessings to you and yours; and Happy Coloring!